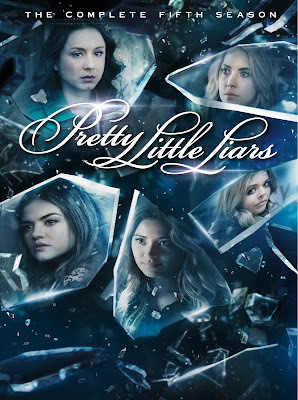 Nautical by Nature: Pretty Little Liars The Complete Fifth Season! Season five of Pretty Little Liars is now available! Own it on DVD and Digital HD. Warner Brothers sent me a copy and I started binge watching over the weekend. My DVR was actually at 0% full for the first time since I got it (!) so it was nice to have something fun to watch. Want more PLL? Read about my visit to the set in this post. 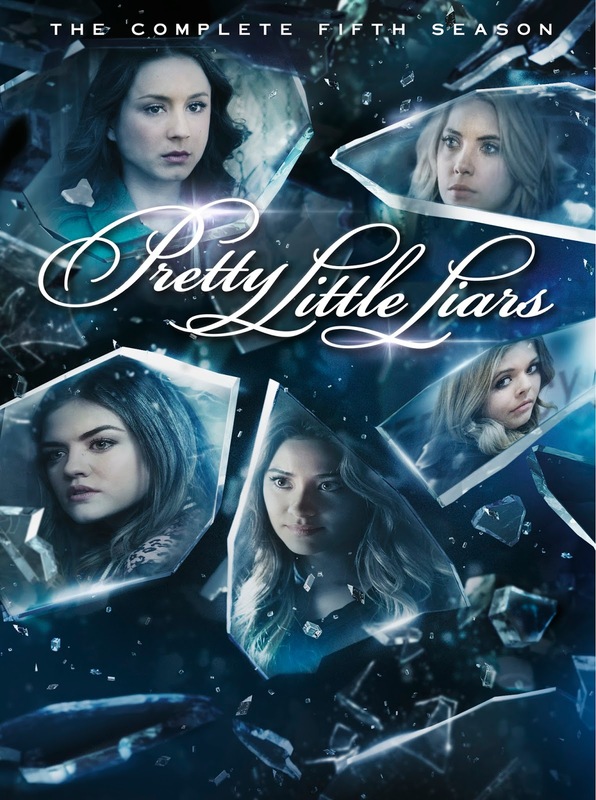 Season five begins in the moments following the epic season four finale, in which Ezra was shot (I still don't know how A jumped from the rooftop-must be a gymnast ;) Alison is alive and back in Rosewood, and everyone is affected by her return — but is she the same Alison after being on the run? Caleb returns, but he, too, is changed (after being stuck in Ravenswood-I wish that hadn't been canceled!). Plus, how does Mona fit into everything and what is Melissa hiding? With more questions than ever (yes, that is possible!) and other familiar faces back in Rosewood, there are now five pretty little liars trying to piece together who has been tormenting them. It is another season of emotion, intrigue and nail-biting suspense (I can only watch during the day if I am alone, I get too scared at night! ), with many must-see moments, including the series’ landmark 100th episode. The DVD has special features including Pretty Little Liars: The Guys are Back! (this show has a very good looking cast! ), deleted scenes, Christmas in Rosewood: Designing the Ice Ball, and more.